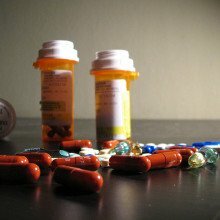 Researchers are now tracking online searches to find evidence for possible side effects to prescription drugs.. The team looked at searches from 2010 for an antidepressant, paroxetine; a cholesterol lowering drug, pravastatin; and high blood sugar, a side effect that the two can produce when used in combination. From a sample of 82 million different searches, they looked for these drugs names as well as for 80 symptom descriptions such as 'blurry vision'. People who searched for both drugs were twice as likely to also search for such symptoms, compared with those people just searching for one of the drugs. Indeed, 30% did their searches all on the same day. The US Food and Drug Administration's Adverse Events Reporting System had, in the intervening time, also found this problematic interaction. But that relies on patients raising it with their doctors - and the doctor reporting it. In principle, this sort of 'data mining' could highlight problems long before the conventional system is able to gather enough data, and flag up issues that health officials should take a closer look at. This sort of data mining is not a new idea. Google Flu Trends has been tracking people's searches for flu-related terms since 2008, and has largely been successful in predicting outbreaks faster than the US Centres for Disease Control. Researchers have also used Twitter data to track the 2010 cholera outbreak in Haiti. But the system is far from perfect. This winter, Google Flu Trends has massively overestimated peak flu levels in the United States. Experts think that may be because there was greater media coverage of the severe flu season this year, so people were searching for information about it even if they did not have the flu. The next goal for researchers to refine their models to weed out this sort of signal, and prove that the systems are reliable and timely enough to translate this surveillance into healthcare action - at the moment it has been almost entirely confined to retrospective 'proof of principle' studies. In the near term, it seems that this sort of data mining is going to become a useful support for traditional epidemiological surveillance, but is unlikely to replace it. Reliable temperature records go back to around 1850, but to assess whether this temperature rise is due to natural variations or human activity we need data from further back. Climate scientists have been able to reconstruct a temperature record using various "proxies" for temperature, such as tree rings, ice cores, corals and stalactites. Combining many such records, researchers in 1998 drew up the famous "hockey stick" graph which shows average temperature declined gradually through most of the past 1000 years but then shot up during the last 200 years. But 1000 years is just a blip in geologic time. To put the current rise in a longer historical context a team of researchers from Oregon State University and Harvard have done a similar analysis for the whole of the Holocene epoch, the 11,300 years since the last glaciation. The study, published this week in Science, analysed sediments from the ocean floors from 73 locations around the globe. By looking at fossils in the sediment--their species and chemical and isotopic make-ups--the researchers were able to reconstruct a global temperature record for the period. It showed that temperatures initially rose for 2000 years and then levelled off for another 4000 years followed by a slow decline from 5500 years ago until the early 19th century. 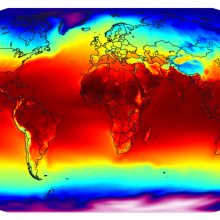 Over the course of the past century, the temperature climbed from close to the coldest level in the whole Holocene to nearly its warmest level. If global warming continues as climate models currently predict, the researchers say, even if the strictest limits on greenhouse gas emissions are applied, by 2100 the global temperature will be the highest it has been at any time since the last ice age. This week, we heard the tragic story of Florida resident Jeff Bush who was killed when a 60 foot deep sinkhole opened up underneath his bedroom. We wanted to find out a bit more about what these natural phenomena are so were joined by Nigel Woodcock from the faculty of Earth Sciences at Cambridge University. We started by asking him what actually a sinkhole is. Nigel: A sinkhole is any subsidence in the ground surface, usually circular plan, and much deeper than they are wide. They form by a number of mechanisms. Although usually they're due to soluble rocks underneath the ground, limestones or rock salts. These sorts of things which are easily dissolved especially by acidic ground water and caverns form underground, and then unpredictably, these things can fall in overnight as it tragically happened in Florida. Chris: Is it limestones chiefly then that go? Nigel: It's limestones and what we call 'evaporites' which are minerals which develop from evaporating seawater. So mostly, rock salt or gypsum, and all these are very susceptible to solution. Chris: Could it happen anywhere? Nigel: No, it couldn't. The estimate is that about 20% of the continental area of the United States is susceptible. It's underlain by these sorts of rocks. In Britain, maybe a little bit less 15%, Australia about 15%. So, the good news is, if you're in the other 80%, 85% of those countries then you're perfectly safe. Chris: But equally, if you're not, you could be unsafe. How did they manage to miss something as huge as that sitting under a house? Nigel: It's a little bit like geologists predicting earthquakes. We could define the general zones which are most at risk, but saying exactly where and exactly when these collapses are going to happen, it's extremely difficult, almost impossible. You rely on local observations. Usually, they don't happen overnight. In this case, they seem to have done, but there are usually warning signs and the local information is critical in predicting like this larger substance episodes. Dan: Do they go very deep? I know it's a simple question, but I understand they never found the man who fell into the hole in Florida. Nigel: They go frighteningly deep. I gather, the deepest sinkholes known in China are something like 600 meters deep and this one was said to be much less than that, but still deep enough to obviously cause all the damage if houses collapse into them. Ginny: What do you do once one of these has opened up because I heard that they can be sort of caverns that are connected to other ones? Can you fill them in ? 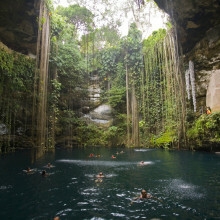 Chris: With 600 meters deep, that's a lot of concrete, isn't it? That's a lot of Ready-mix, isn't it? Nigel: And as you say, these fissures are often interconnected in unpredictable ways. So, the concrete just disappears down into much lower levels of the Earth's surface. It's not usually the best plan. Chris: So, what does this mean for the other people in that street? Can we do surveys now and have a look and say, "Well, we know there's a hot spot here." Can we do ground penetrating radar or something and see what these things are? Nigel: It would be possible to do that sort of geophysical survey and define where the fissures are, but even then one fissure of a particular width could be stable and another one next door may not be. So, there's a lot of random chance involved here. A new type of flame-retardant coating for textiles has been developed from a most unlikely source. Researchers from Italy have used DNA, extracted from herring sperm, to fireproof samples of cotton, and have found its performance to be on a par with commercially manufactured materials. The flame retardant industry is big business (one recent study estimates 465,000 tones to have been produced in Europe during 20062), but many of the chemicals used are hazardous to the environment. Traditional halogenated flame retardants tend to bioaccumulate and are toxic to animal and human health, hence their use is becoming increasingly restricted in both the EU and US. DNA, on the other hand, is abundant, naturally occurring, and biodegradable - and just happens to have all of the characteristics of a classic flame-retardant chemical. Malucelli has discovered that DNA also acts in this way. 'Phosphate groups provide phosphoric acid, deoxyribose units act as a source of carbon, and nitrogen-containing bases release ammonia gas,' he adds. To test their theory, Malucelli's group applied a methane-gas flame to samples of cotton that had been coated with DNA. 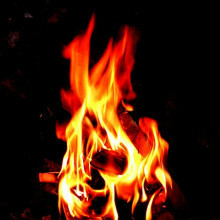 After two horizontal applications of the flame, each lasting three seconds, the samples did not burn at all. Likewise, when exposed to an irradiative heat flux of 35kW/m2, no ignition was observed. In fact, there are more barriers for Malucelli to overcome before fireproof DNA can be considered for industrial-scale use, perhaps the most significant being durability. At present, the DNA coating does not survive the laundry process, making it impractical for long-term use. 'Fixing DNA to textiles, so it doesn't come off in the wash, is a possibility' explains Malucelli. 'We are exploring the use of sol-gel treatments... and there are other possibilities involving photo polymerisation reactions, using reactive monomers to which DNA has already been added. But it is necessary to entrap or covalently link DNA to the fabric substrate,' he says. 'I think the current high cost of DNA is largely down to the purity in which it is required currently for applications in molecular biology,' Malucelli adds in response to comments that his green flame retardant is too costly. 'A future reduction in price is not impossible; think of what has happened to the wholesale price of carbon nanotubes. Apart from herring sperm there is always the possibility of extracting DNA not only from other animals but also vegetables,' he says. 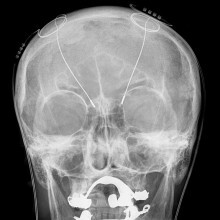 Deep brain stimulation may offer a last resort treatment for Anorexia sufferers. Anorexia Nervosa is a very serious condition that leads people to refuse to eat, or to binge and purge. They are unable to maintain a healthy weight, and this can lead to severe complications, and even death. Anorexia has a mortality rate of 6-11%, so it is a very serious problem. At the moment, treatments mainly focus on getting sufferers' weight up- by feeding them through a tube if necessary, followed up by counselling, but for many patients, this does not lead to sustained weight gain. A new study, published in the Lancet this week, tried inserting electrodes into the brains of 6 patients with chronic, severe, treatment resistant Anorexia. These electrodes stimulated a region of the brain called the Subcallosal Cingulate. Stimulation here affects the activation of the limbic system, which is known to control mood.. This treatment, known as Deep Brain Stimulation is used to treat Parkinson's, disorders thought to be caused by problems with brain circuitry such as depression, OCD, Tourette's and Alzheimer's. Anorexia sufferers often have depression and/or OCD as well, so Lipsman and colleagues from the University of Toronto decided to apply the same treatment to anorexic patients, and see if it had a positive effect. Although initially after surgery, all 6 patients lost weight, 9 months later 3 patients had BMIs higher than before the surgery- this was the longest period of sustained weight increase since they became ill, and their quality of life had significantly improved as well. The other 3 showed no change in weight, but 2 of them had improvements in their mood, or scores on OCD questionnaires. So why did they choose this particular brain region? Neuroimaging studies have shown anorexic patients have various structural & functional brain differences. Those seen in the subcallosal cingulate, which was the target for this treatment, show similar patterns to those seen in depression, and as treatment has helped depressed patients, it seemed a good place to start. DBS of this region has effects on many areas thought to be disordered in anorexia. The insula, for example, is involved in fear & anxiety, taste, and monitoring internal environment, all of which may play a part in the illness. The parietal lobe, which is involved in body &weight distortions, is also affected. Anorexia is a complicated illness, with links with perfectionism, reward processing abnormalities, preoccuoation with body image, which implicate many different brain regions. Although the sample size was too small to draw any firm conclusions, this study suggests that DBS is worth exploring in more detail in relation to Anorexia, and this could provide a ray of hope to those for whom the normal treatments have been ineffective. 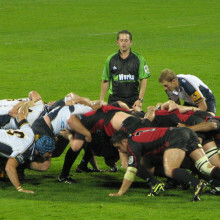 For most professional rugby or American football players, repeated knocks to the head are considered an occupational hazard. But over the course of their carrier, they can result in long term damage. Now, scientists have developed a new theory that means that there might be more we can do to protect players beyond fitting them with a helmet. To find out more, we were joined by Dr. Jeffrey Bazarian from the University of Rochester Medical Centre and started by asking we used to think happened when people were subjected to repeated blows to the head. Jeffrey - Well, we've only begun to actually see a connection between these repeated blows and something bad happening. People think if there's something bad happening that it involves stretching these long spaghetti-like cells in the brain, the neurons, so causing the axonal damage, just in doing that repeatedly in a low level over and over, over again. So, the thinking has been that the damage kind of builds up with time, some critical threshold is reached and they get dementia later in life. Chris - So, it's just because if you keep on shaking the head too hard, you're going to sever nerve cells axons, these connections and eventually, you're going to lose cells, lose connections, and this will have a cognitive decrement. Jeffrey - That's exactly right. Chris - So, what are you saying is different? Jeffrey - Well, it looks like the problem, might be not so much with injuring the brain cells, but injuring the gate between the brain and the blood - this barrier called the blood brain barrier. The brain is kind of a funny organ that's walled off from the rest of the body by this barrier and it's normally closed. Our study suggests that these blows to the head that we don't think about being bad repeatedly open up that barrier and allow proteins that bathe the brain to get out into the peripheral circulation which doesn't sound so bad. But the main discovery here is we've found antibodies. The body actually makes antibodies to those proteins so the next time that gate opens up, that antibody is looking for a target. It's like a heat seeking missile looking for a target and where does it go? It goes back to the cell that made the protein to begin with, back into the brain across this breached blood brain barrier and we speculate, that may be part of the process of this long term nerve degeneration. Chris - What evidence have you got that a.) the blood brain barrier is opening up in that way when there is head trauma or repeated trauma and b.) that those antibodies are then actually going across the blood brain barrier later and doing damage? Jeffrey - Excellent question. So, the first question you posed was actually more easy to demonstrate, but using this blood test called S100B, this a protein that's made by astrocytes in the brain. It's not found anywhere else. So, the blood barrier has got to be open for this stuff to show in the serum. We can't actually visualise the blood barrier in someone who is alive. You can only do it post mortem. So, this is a kind of a surrogate measure of blood barrier patency and if you see this protein above a certain level, the blood brain barrier is open and we kind of establish some of those thresholds in prior studies. So that part was easy. Showing antibodies to the protein, that was easy. Your second question now is much harder to prove. We can't actually see these antibodies on living brain tissue. There's no way to kind of image that in someone who's alive. If they were willing, we could take a piece of their brain out, look at it under a microscope but most folks who play football aren't really interested in doing that. So, we have to do some work with animals. We took the blood from some of these athletes that have the antibodies, poured it over mouse brain and saw that it's stuck to the cells that we thought expressed this. It's a leap to say, well, it's probably happening in the human, but we saw it in the animal, so it makes the connection easier to make, but by no means, causative. Chris - What is it going to take to prove this, now that you have this intellectual leap and you've got some evidence that certainly the antibodies are being made and can we stop it? Jeffrey - I think that's why we probably have to turn to animal models. You know, how you establish causality in these cases as you do the typical things. You try to block the antibody response, see if the brain injury is prevented, you try to stimulate the antibody response, see if you get more brain injury, you sacrifice the animal, look to see if the antibody is sticking to the cells in a more direct way. In the humans, it's going to be really difficult to prove that link unless somebody could come up with a non-invasive way to image these antibody complexes on the brain. Chris - What about professional footballers? Are we going to see them being told, "Whatever you do, don't head the ball in the future because you could get brain damage"? Jeffrey - That's a little different question. I think there's a lot of people, myself included, trying to tighten that connection, trying to show that whatever happens acutely with this subconcussive head blows that they somehow are directly linked to neurodegeneration, 10 or 15 years later. That's kind of difficult to do because of the time involved, but I think we need to connect a few more of those dots before we start telling footballers to not hit 70, 80 times a game. Chris - But how hard do you think you have to hit your head in order to get this effect or is it really rather trivial head trauma that will do this? Jeffrey - That's exactly the kind of things that need to be established. Luckily, with the invention of centres accelerometers for helmets for football players, we can start to answer what exactly, what threshold needs to be reached before we start to see some - either an immune response or some microscopic brain injuries. So, that work is being done. It's harder to do in rugby players or in soccer players because we can't really measure the forces to their head without them wearing some kind of sensors on their head. They don't wear helmets, so that makes it harder to do. But there's many people who are on hot on the trail of this question. 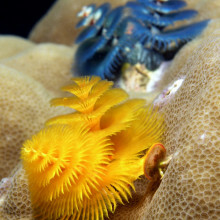 To understand the sheer variety of life in the seas you have to study all of it from the tiniest bacteria to the largest fish, and then there's the stuff in the middle, such as bristle or polychaete worms. Leticia Gunton studies these polychaete worms at the Natural History Museum's Darwin Centre in London. Now, the worms can reach up to three metres long but as Sue Nelson discovered when Leticia brought out some of her collection there are plenty at the other end of the scale as well. Leticia Gunton: These worms are from the Whittard Canyon which is an underwater canyon in the North East Atlantic, so it's just South West of Ireland. Sue Nelson: How big, large is this canyon? Leticia Gunton: It's pretty big. It starts at a depth of 200 metres and goes down to 4,000 metres. These samples were actually collected from 3,500 metres. The canyon is about two kilometres long. Sue Nelson: It's funny though that from such a huge structure you should be interested in such tiny worms. Leticia Gunton: Small worms - well actually in the deep sea most of the organisms are tiny because of the amount of food; there's not much food down there so organisms have adapted to that by becoming very small. Sue Nelson: So let's have a look at these tiny little polychaete worms under the microscope. Leticia Gunton: I'm putting under the microscope now, so I will just turn this on; the lights come on and let me get this into focus. Sue Nelson: They're almost like thin white worms but not so smooth all along in their bodies, slightly disjointed all most, or is that part of the process? Sue Nelson: It's bleached them out a bit. Sue Nelson: So why are you interested in these particular worms? Leticia Gunton: Well polychaetes are actually very abundant in the deep sea. I'm looking at species diversity in the deep sea so I want to understand why there's lot of species in a certain place. I'm working on submarine canyons, underwater canyons and underwater canyons are thought to be hot spots for species diversity and to need to properly understand this I'm looking at the polychaete worms in particular to find if there are lots of polychaete worms found in these underwater canyons. At the moment, yes, I've found there are lots of polychaete worms in underwater canyons. Sue Nelson: And are there lots of different species of these worms, in particular, and is there much known about them? Leticia Gunton: I think it's 12,000 species of polychaete worms identified. That's quite a few, identified so far, so the one's I'm looking at and to be honest they're probably all unknown species a lot of them, which makes it quite hard for me when I want to understand species diversity if I'm finding lots of species that are unknown. Sue Nelson: To my eye they all look very similar under the microscope, particularly when they've lot their colour, how do you tell the different species apart? Leticia Gunton: With polychaetes they obviously have setae, so the setae are the little hairs going all along down the side of worm, so you can look at the setae and also the prostomium which is the like the head end, so you can see the different shapes of that. Sue Nelson: Now, one of the ways in which you must compare what you've got here with what you've got already in the Natural History Museum must be with the collections. Leticia Gunton: Yes, the collections are a really fantastic resource that I have here, I'm very lucky. I think there are 8,000 polychaetes in the collections. Sue Nelson: Well I think then that we ought to go down to the collection. Leticia Gunton: Yes, let's go. Sue Nelson: It feels as if we're going into an air lock. Leticia Gunton: Yes, it's very high security here. Sue Nelson: Past two automatic doors. Leticia Gunton: Yeah two automatic doors and as you noticed in here it's actually a bit cooler. Sue Nelson: Yes, gosh, quite considerably. Leticia Gunton:That's to help with the preservation of the specimens down here. Sue Nelson: Now, it's filled with what look like giant filing cabinets. Leticia Gunton: Yes, and if I actually open this one here which says polychaeta, polychaete worms that I'm specialising on, and we have all the type specimens and the voucher specimens. Sue Nelson: Lots of different shaped jars, glass jars here, all sorts of sizes. How many worms are in that because they are so much bigger than the ones that we've looked at which was the size of a hair, whereas these are more maggoty size. Sue Nelson: And so you would take this one, say, up to your lab, look under it and compare with what you've actually got. Leticia Gunton: Yeah, exactly that, to see if it was the same species. Sue Nelson: And what do you do when you have found a species that you can't find here in the Natural History Museum collection? Leticia Gunton: Well, so in my deep sea biology ones there are a lot of species that won't be here so what we do is we describe it, like you have to write down all the features, morphological and now actually it moving more towards molecular so you would probably sequence it and then get the sequence information, the DNA from that to come up with a new species. 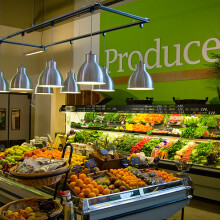 We're all used to popping down to the supermarket and choosing our groceries from the rows and rows of food available, but with the global population rapidly expanding, experts feel that in the future, our ability to supply food on this scale is not going to be able to meet our demands. We were joined by Professor Tim Benton from the University of Leeds and the UK champion for food security to find out how hungry we are to fix this issue. Chris - So, first of all, just define for us food security. What does that term actually mean? Tim - So, the term means that everybody has access to food at all times and in all places, sufficient to meet their needs for nutrition and health. Chris - There are 7 billion of us on Earth now we think or thereabout. Are we currently feeding everybody because I keep seeing reports in the news and so on, of people in famine states? Tim - We are producing enough food around the world at the moment to feed everybody in terms of the amount of calories. The issue I think is going to get more acute into the future because we have a projected growth in demand, driven as you say by population growth by the increasing global middle class, and by increasing urbanization which changes our attitude to food, and we see it much more as a wastable thing. So, the projected growth in demand over the next 40 years is a 60% increase and at the same time, we're going to have less land, we're going to have all sorts of constraints around these sort of nitrogen fertiliser and pesticides and so on. We're going to have to be much more sustainable in our production because we're getting to the point where we can't carry on using the natural capital that we've been using in the soils and eroding the soils, and so on. We're going to have less water. At the moment, we use about 70% of the world's water on agriculture and in the future, we can't expect to use that amount. And then we got climate change and climate change is going to take out a whole chunk of our yields. So, on the one hand, we've got a projected increase of demand of 60 or so percent and then on the other hand, we got a whole batch of constraints that are going to stop us doing it. And we're noticing now the imbalance between demand and supply because in the last 5 years, we've had three big food price spikes and the first one in 2007 and 2008. It was contributory to the civil unrest in the Arab spring and we all have a kind of history that when food gets expensive, riots break out. The French revolution came from "Let them eat cake" from Mary Antoinette when bread prices went through the roof. So, it's not just a matter of sub-Saharan African starving children. In UK at the moment, there are about 3 million people on the verge of malnutrition and the poorest in any society get hit hard. Chris - Given that rather sombre review that you just offered, what can we do about it? Is it just a question of saying, "Right, population lies at the heart of this." We have to stop the population increase because if we did, that would stop 60% of the problem straightaway your figures. On the other hand, can we throw science at this? Tim - So, population growth is just one of the drivers of demand and even if we stop population growth, the increase in wealth with the growing global economy means that the poor people want to eat more meat, more expensive to produce food and so on. So, even if we stopped people breathing which is a horrendous thought to think about, but even if we did, there will still be an increase in demand. So, part of the solution has got to be about managing our relationship with food, managing our demand, reducing waste at the moment in North America or in Europe. The amount of food that's thrown away is the equivalent of all of the production in sub-Saharan Africa, so we can do things around waste. We can clearly do things around production, given that we've got a finite amount of land, use the land that is already converted to agriculture, to grow food more efficiently, and then there are a whole host of things that we can do around that production from a science perspective, from an ecological science perspective to make it sustainable. From a human behaviour perspective, our attitudes to food, as well as the issues to do with population growth and economic growth. Ginny - Africa is the only continent with a greater ability to grow food than a demand from its population. Have you started to see this effect in the continent? Tim - Yeah, absolutely. Africa is working very, very hard to grow its agriculture production. I think the scary thing is although it's got a certain amount of what is sometimes termed as spare land, although from an ecological perspective that's arguable, the issues of climate change and the future ability to produce the food that we think it might be able too might be impaired. But certainly in terms of the potential at the moment given the current climate, there is a huge amount of growth that is possible and in parts of Africa, that growth is starting to happen. 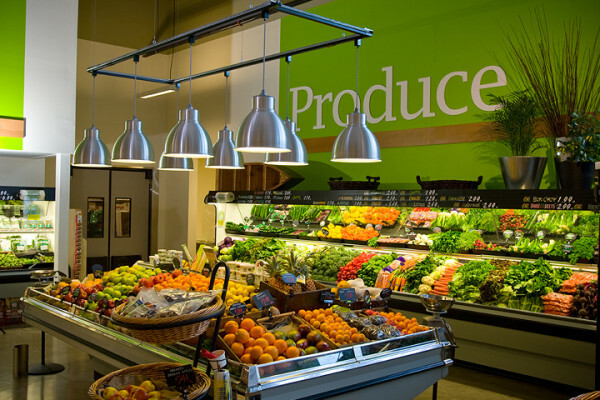 With our food chains set to be stretched to bursting point we need to come up with new ways to reduce waste. Chris Smith and Ginny Smith spoke to environmental entrepreneur Jason Drew from South Africa about his buzzy idea to closing a loop in fish farms. Chris - Jason, what's your solution to the food problem in the future? Jason - It's just taking one particular part of the food chain and beginning to close loops. So, closing food cycles like we're doing in business to drive sustainability and what we're doing is really launching what we call the nutrient recycling industry. So, we take it for granted today that we should recycle our tin, our plastic, our glass. And what we do is we recycle what are otherwise waste nutrients. So in particular, we take wastes from slaughter houses, our industrial slaughter houses and indeed from other waste food sources, and reconvert those into usable proteins using in particular, 2 or 3 different species of fly. Chris - When you say 'waste', that would be slaughter house waste, what would happen to the material that you're currently calling 'waste' if you weren't to get your hands on it? Jason - Well, a lot of it goes into landfill, a lot of the blood. I mean, if you slaughter a million chickens which isn't a lot every month, that's a quarter million litres of blood that would otherwise get poured into effectively only just dams, lakes of blood. The problem is, the haemoglobin then settles out and begins to affect the water table over a period of time. 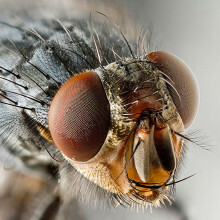 Of course, using the fly to recycle those waste nutrients, we create an entirely natural animal protein and you know, that's why flies have for years been eaten for millions of years by fish and by chickens. You know, a trout leaping out of a stream is after a fly. A tilapia in the bottom of the pond is looking for fly larvae or mosquito larvae. And so, it's a natural food. Larvae is a natural food for chickens and fish. And instead of using the roughly third of our fish that we take from our seas in our industrial and agricultural processes, we can just recycle those waste nutrients and convert them back into a good, natural animal protein to put back into our farming operations. Ginny - So, how exactly does this work? Can you talk me through the operation? Jason - In its very simplest form, we have a very large cage full of flies. We've taught the flies to lay their eggs all in one place. We take those eggs out of those cages and we keep a proportion of those eggs back to put into our breeding stock. Our breeding stock is fed on human grade food, on milk powder, sugar and yeast, and a few other goodies. We then feed the eggs on the waste from the slaughter houses in the abattoirs and 1 kilo of eggs will turn into about 380 kilos of larvae or protein if you take away the constraints in nature, it will stop that happening. So, on a decaying carcass in the bush, different types of flies would land on it, different stages of decomposition and they'd be eaten by passing birds or indeed, that fly off and be eaten by a fish from a stream. So, what we're doing is, we're copying that natural process in closing the loop. Chris - How much energy do you think that you can extract back out that would otherwise go to waste? Can we put some numbers on this, Jason? What sort of difference can your approach make, using this, I think very interesting technique? Jason - Our food conversion ratios depends on the waste sources. It's about 2.5 to 1. So, if we take 2.5 tons of waste, we end up with about a ton of larvae which on chemical analysis is, from an amino acid composition perspective is identical to that of fish meal, plus or minus a few percent. So, it has all the growth factors that you need to make your chickens grow, to make your trout grow, to make the salmon grow. So, we make 2.5 tons of waste to make about a ton of larvae or protein. And the reason this has become available as a business opportunity is that the price of fish meal has risen substantially over the last 5 to 8 years from a sort of stable price range of around $600 to about $2,000 today per ton. So, every ton of fish meal that we don't have to take from the seas because we replace it with mag meal is a good thing we're doing and our large scale factory coming on line later this year. It's targeted to make 100 tons of wet larvae a day, which is about 28.5 tons of dry larvae a day. Ginny - So, what are the fish currently being fed on? You mentioned fish meal. Jason - Fish meal is really predominantly pelagic fish that are fish specifically to create an animal protein, so it can then go to the feeding of monogastric animals. So, our fish, our chickens, our pets, and other single-stomached entities who need or have always traditionally naturally had animal proteins part of their diet. So what we're doing is just replacing the unnatural protein which is fish meal with a natural protein. We sort of gave up fishing in about 1950 and started catching because with sonar we just went to catch the fish in the seas. And we've been exploiting that natural resource to a point of breaking it and we're all aware of the issues facing our seas around the world. Chris - Can I just bring in Tim at this problem because I think Tim, how does this sort of factor with where you're coming from in terms of growing enough food to supply people? This must be music to your ears. Tim - Absolutely. I've been talking to somebody recently about this sort of idea because what we're doing is recycling something into something that's very usable and be usually around fish meal and collecting fish from the seas in an unsustainable way, and turning that into a food for other fish to eat becomes kind of crazy, and a real stopping point in the chain of production of fish. So, if we can do things like this, it allows us to carry on growing fish protein and that takes some of the pressure of converting land to producing animal protein or plant protein on land. Ginny - So, we're also joined tonight by Steve Sugden from Water for People who is working on a similar idea to Jason's but using a slightly smellier option. So Steve, you normally work on sanitation issues. How did you start thinking about the food chain? Steve - If you take a city like Dar Es Salaam with a population of 3 million, you've got 75% of that population that are actually pit latrine users. When the pit latrine is full, it causes a problem to a householder who then normally have to employ manual pit emptier to empty the pit waste and that gets put on to the nearest piece of land or drain. This causes huge public health problems. The last time I was there in an area of Dar Es Salaam, the health officials thought they had endemic cholera. So, the whole idea is, can we change our attitudes from seeing this as human waste, can we actually see it as an asset? Quick calculations will say that around 560 tons of human waste are produced every day in Dar Es Salaam and can we actually use that as a source of organic matter, as our source of energy to increase food production? Chris - Talk us through actually what's involved then Steve? What do you do to rescue back that waste in the same way is doing it with blood? You're using something a bit less pleasant perhaps. What is involved in your technique? Steve - There's two possible ways. One which you can actually do it to the household which is more difficult, for the fact that you've got to keep inoculating the pit latrine with more fly larva. So, the preferred method that we're looking at is actually, developing pit emptying services, taking it to a nearby transfer station and then using black soldier fly which is, I think really an extension of what Jason was talking about, and using black soldier fly to actually eat the waste. The black soldier fly from the early work that's being done has a 42% fat content and a 30% protein content. And as I say, can be used as fish meal or even for making the fat content for making biodiesel. Chris - So Jason, this is sort of complimentary to what you're doing. Can you team up with Steve and the two of you come up with the solution that means you can make the best of both worlds, both stuff that goes down the loo and stuff that goes in his landfill? Jason - They're always nutrients and what we need to do is get busy using these waste nutrients, reconverting them to something useful, and get busy repairing the future. Chris - Final word from Tim. Where do you see this going? Tim - I think we need to get a lot smarter about re-using this stuff like these guys have been saying. I went to a farm in China a couple of years ago where they had pigs and the pigs producing muck and the muck was then used to farm earthworms, and the earthworms went into fish food, and the remainder of the muck went onto the field and it became a very closed system, and incredibly efficient in terms of yield production which is quite unlike most of our industrialised agriculture. An international team is currently working to secure the future of the staple food for 60% of the globe, rice. Naked Scientists Kate Lamble spoke to one of the members of the team, Helen Woodfield who's completing her PhD at the University of Cambridge. Helen - So, I work on the C4 Rice project which is a large international corporation of people who are essentially working, trying to increase the yield of rice. So, more rice grains power plant. Kate - So, why is it so important for us to increase the yield of rice? Helen - As I'm sure, most people know the population of the world is increasing at a much greater rate that we can keep up with in terms of food production. In 50 years' time, if population increases carry on in the projected way, then we're not going to cope. So, we need to be able to have more food. Kate - So, how are you going about trying to increase the yield of rice? Helen - There are different forms of photosynthesis. 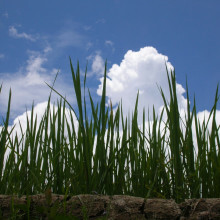 Most people have studied photosynthesis at school and it's a process where sunlight is converted from CO2 into sugars. Now, this process is inherently inefficient and there are various plants which have evolve mechanisms which will overcome this floor. So yeah, the whole point of this project is try and put this specialised pathway called C4 into rice which is a C3 plant. Kate - At school, I got told about photosynthesis, there weren't different types of photosynthesis. How does this C4 type of photosynthesis differ from the C3 photosynthesis? Helen - So, in C3 photosynthesis, you have an enzyme called RuBisCO. That enzyme is a protein which catalyses the reaction. It turns one thing into something else. Now, the way that RuBisCO works is it takes CO2 and it turns it into something else, which will then go on and be processed into sugars. So, that's what happens in every plant that you look at. Now the problem is that the CO2 is a very similar structure to oxygen. If you look at the two molecules, they're very, very similar. So, RuBisCO sometimes can't tell the difference and it uses oxygen instead. So, RuBisCO is like an old blind cook. It can't tell the difference between salt and sugar. Sometimes he uses salt, sometimes uses sugar, and obviously, the cake is going to be really different. The sugar ones are great, that's the CO2, the salt ones, really bad. So, what C4 does is it employs as a helper and this helper is a different enzyme. It lives in a different room and he can tell the difference. It only takes the sugar off the shelf. So, it only takes carbon dioxide, leaves the oxygen, and he passes the sugar to the cook in the other room where he's just happily away making cakes. And because he haven't got the option anymore, he only uses the sugar. So you only get good cakes and so, you only get the beneficial reaction. Kate - What kind of plants have this more effective form? Helen - Things like Maize, sugar cane, generally grasses. So, if you're watching a documentary which has a shot of Africa, all of the grasses that you see in that shot will be C4. But in terms of commercial applications, obviously, Maize is the highest one. Kate - So, why don't we just get the world to eat more Maize? Helen - So, I hadn't really appreciated how important rice is. I went to the Philippines as part of my project to work for a bit and everyone was very distressed I wasn't eating my 5 rice-a-day. I was like, "I can't deal with this, there's so much rice", but it is a massive cultural thing and although Maize is coming more and more into the food chain, bettering the crop that's already grown is much better option. Kate - How can you make rice change the way it photosynthesises? Helen - The approach that we're taking is we're actually copying the genes out of Maize. So, those genes, we're hoping that if we took the Maize versions the C4 ones, and we put them in rice, that they'll still act in a C4-like way. Kate - And what results have you seen with that? Have they started to take on some effect of the C4? Helen - The problem is, is that without the whole pathway, you're not going to ever achieve the end result. It's like putting in part of a painting and expecting someone to recognise it. We have to have the entire pathway and the anatomy altogether before I think we'll see any sort of improvements in photosynthesis. So, at this stage, we really are just playing around with trying to get the individual components in the right places at the right time, and then once we've got that sorted, we'll kind of build it all up, stack it altogether, and then make one plant that's got all of it. Kate - It's quite a complicated process to essentially change the way that rice is set up. It must be quite an effective change for it to warrant this much effort. Helen - Yeah, definitely. We're predicting that if you put C4 into rice, then we'll have about a 50% increase in productivity. And the most compelling thing is that the C4 for photosynthesis has arisen at least 60 times across the evolution. The theory behind it is that if it's arisen so many times then trying to make rice to do it. Maybe it's not going to be as hard as we initially thought. Kate - Why hasn't rice developed C4 photosynthesis itself? Helen - The thing about the C4 pathway is that it does cost energy. So, you have to pay to pump the carbon around the plant in this specialised way. So, that's why you don't see C4 in this country for instance because you have this trade-off between the energy costs for running C4 and the energy cost for the photorespiration that you have if you don't have C4. And those costs change according to what the temperature is. So, in this country, there are 4, maybe 5 species which are C4, but all the rest are C3 plants, and that's because of the energy trade-offs. Why rice hasn't? I don't know because obviously, rice grows in the tropics which is quite hot. Kate - If we're looking at this right and better in higher temperatures, does that mean that looking in the future with sort of climate change in the horizon that this might become applicable to more crops? Helen - Definitely and the other great thing about C4 is because it's extracting CO2 from the atmosphere, it means that it can keep its stomata closed more. Stomata are basically little holes in the leaf through which gas can flow. But the other problem is that water loss happens through those holes. So, other than obviously reduces food quantities, we're really running out of water. and so, to make plants which are better at growing in low water conditions like C4 plants is also a huge benefit. Kate - How far off are we from getting the C4 process into rice? Helen - The overall outlook for the project is about 45, 50 years away, so it's definitely a long term project. A lot of people think, you're absolutely mad for trying this. It's so ambitious and we know so little about it really. When you think about the fundamentals of C4 and what controls it, we know so little still, but then if you didn't try, you'll never going to find out. 53:49 - Can shrink wrap help you lose weight? Can a shrink-wrap treatment that claims to kill fat through lysis of fat cells be healthy? Would it really work? Can shrink wrap help you lose weight? Hannah - So, for the princely price of about 60 great British pounds I can pop down to my local beauty clinic and get a body wrap treatment! They will slather my body with cream, wrap me tightly in shrink wrap, and leave me laying there, looking rather squished and peculiar, under a heated blacket for 90 mins, and it's claimed that, when unwrapped, I'll have lost inches! Rather than testing the procedure out in the office, as my boss suggests, instead I turn to Dr Stephen O'Rahilly, Director of the Metabolic Research Laboratories at Cambridge University and Professor Steven Bloom from Imperial College London. Stephen - Magnus is spot on here in smelling a rat. Firstly, shrinking violet body wraps won't work. Lipolysis which is the breakdown of triglycerides and fat to its constituent free fatty acids and glycerol is a highly controlled and sophisticated biochemical process, and no amount of wrapping will induce this to occur in the fat cells. Secondly, if it didn't work, it would actually be dangerous. The reason our bodies have all the fat cells was to make a relatively safe place to store excess energy and a place for much energy to be released during times when food is scarce. If we suddenly release a large amount of fat from our fat cells, it would have to go somewhere. We know this is very bad news because patients who, for genetic or other reasons can't make adequate number of fat cells develop severe metabolic side effects including diabetes, pancreatitis, cirrhosis of the liver, all as a result of this toxic fat going somewhere where it shouldn't be out of fat cells and into other tissues. So, not only is this idea nonsense, it's potentially dangerous nonsense. Hannah - So, if there's no fat cell breakdown going on, what about this claim that you lose inches once unveiled? Professor Stephen Bloom from Imperial College London has this to say. Stephen B. - Sweat a little with no food or drink and pee out from the pressure on the body fluids of the wrapping and you're certainly lighter on the scale. Unfortunately, all you've lost is water and as soon as you get back home feeling thirsty, have a glass of water or two, this comes flooding back and your weight will go back up again. Hannah - Hmm, I might give body wraps a miss and up for a bit of exercise and healthy eating instead. Previous How does a gastric bypass work? Next Will a body wrap help me lose weight?